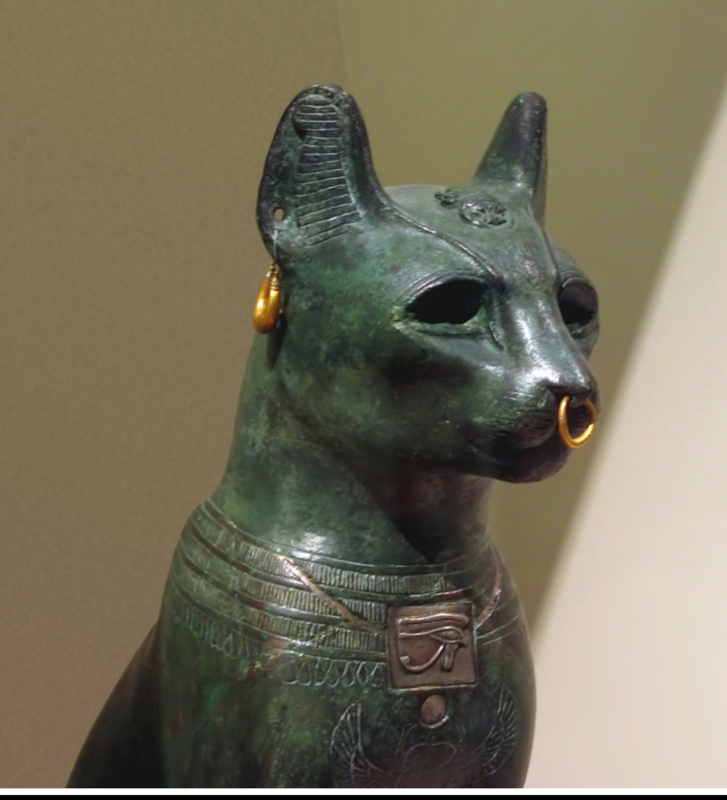 Well, this was quite some ring to slip through the cracks of the British Museum’s security! The Cartier diamond ring was donated anonymously at some undisclosed point in time, and has an estimated value of £750,000. Surprisingly little information has been forthcoming about the ring itself, or its history, other than that its absence was first noticed in 2011, and that after 6 years of searching it has been declared lost. I guess, relatively speaking, t’s a small thing in a big place, and you could understand how such a trifle might be overlooked…. But to those of us with an eye for treasure, this gem is hard to ignore. It’s difficult to tell the true size or quality of the stone, with only a photograph for reference. Because we are told the ring is by Cartier we can I suppose make assumptions that the Asscher cut diamond would be of the finest quality. A view of the stone from the top would certainly help us to appreciate the stone more fully. 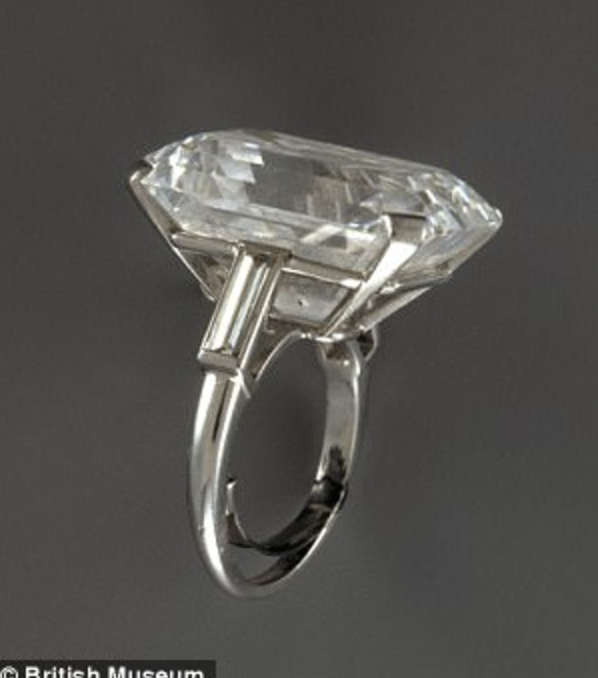 It has been suggested that the stone could be up to 20 carats in size. Again, we can only guess this since we do not know the ring size. Are we looking at a ring for meaty Liberache hands, or for the fine grace of the Mona Lisa’s digits? We can certainly see that the ring has been adapted with a bridge, for the ring to fit a smaller finger. Did the owner fall on lean times? Perhaps age robbed flesh from this hand, or brought to a stranger by bequest or inheritance, this was a necessary adaptation? How could such a treasure become ‘lost’ in this grand institution? In the absence of fact, and with the search declared futile, my mind conjures images of night-time dramas in the British Museum with all the big players vying for the prize….like a scene from the film Night at the Museum. My money is on this one….. The cat that got the cream, and perhaps a nice big diamond ring…? Tagged inspiration, investment. Bookmark the permalink. Great place to learn about jewellery, make new friends, extend your artistic horizons and “smooth out” the “wrinkles of your day”!